We even got to taste the mash along the way on the tour. 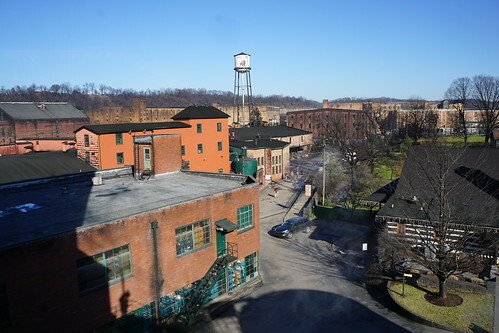 The land and distillery itself was originally George T. Stagg Distillery and it's listed in the National Register of Historic Places and a designated National Historic Landmark. Of course, there has been expansions and additions since then. 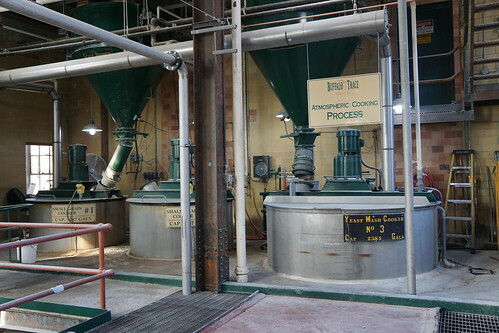 In addition to the massive scale production, there's also a smaller pot still, the E.H. Taylor Jr. Microstill where they make their limited Experimental Collection whiskies. 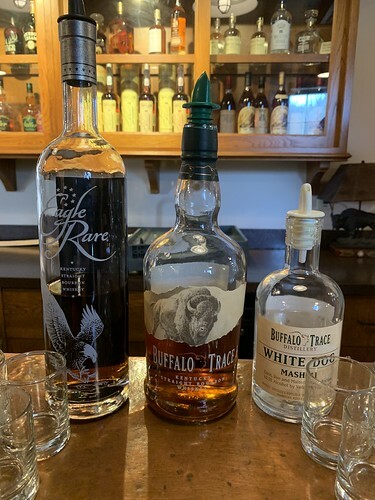 Each person gets three tastes from the selection which included the below whiskies from the 12 brands they produce and their vodka (yes, the distillery also produces vodka) plus a taste of their bourbon cream liqueur at the end. I've tried these before, but had to opt for Eagle Rare again, of course. 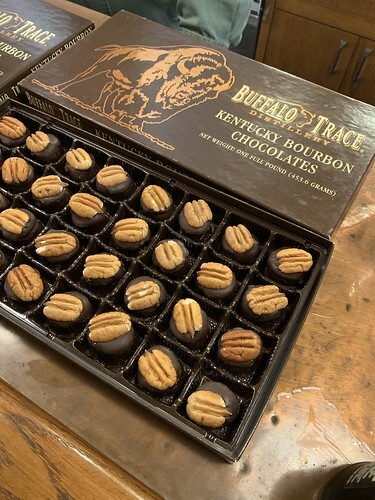 We finished off with some bourbon pecan chocolates. 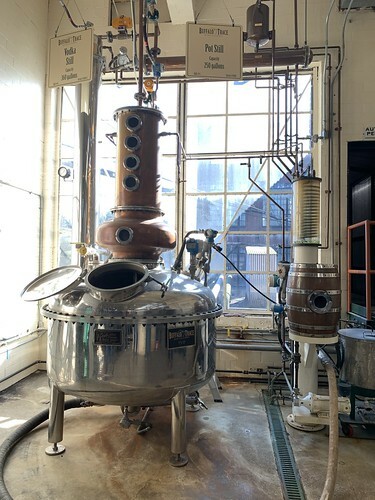 After touring a few distilleries, most of the time they start to look the same. The hard hat tour was a nice change. 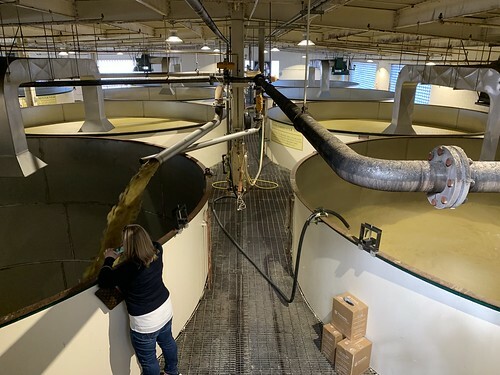 The hard hat tour really takes you to parts of the distilleries that you otherwise would never see, and one I would recommend taking when you're on the Bourbon Trail. Be warned, it's quite a bit of walking and some stair climbing. It is, after all, quite a big distillery! 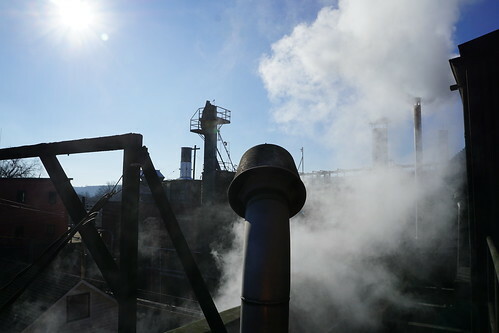 I want to go on a bourbon factory one of these days. 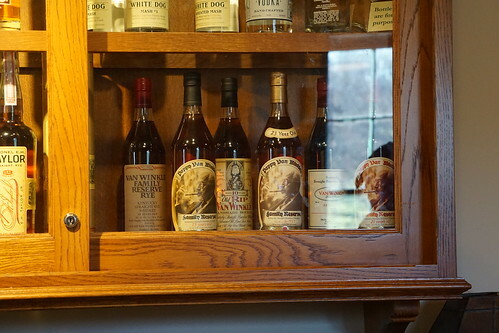 Too bad about the pappy’s. On another note I wish you updated your $1 oyster list.